Liberty in North Korea, commonly referred to as LiNK, is a large organization with a student-run chapter at Tech whose mission is to raise awareness of the humanitarian crisis in North Korea throughout campus and the greater Atlanta area and to rescue North Korean refugees in China. Thousands of North Koreans who wish to escape the political and economic repression of their country risk imprisonment or even death if caught. However, due to China’s diplomatic relationship with North Korea, even if the refugees make it to China, they will be sent back to the North Korean prison camps if caught by the Chinese government. LiNK was originally founded in 2004 at the Eighteenth Annual Korean-American Student Conference at Yale University in order to educate people about the current political and social situation of North Koreans. So far, the organization, headquartered in Torrance, California, has rescued 756 North Korean refugees through a 3,000 mile modern-day underground railroad to a safe country. This is all made possible through donations made by GT LiNK and other communities of LiNK, 100% of which go to funding the rescue programs. 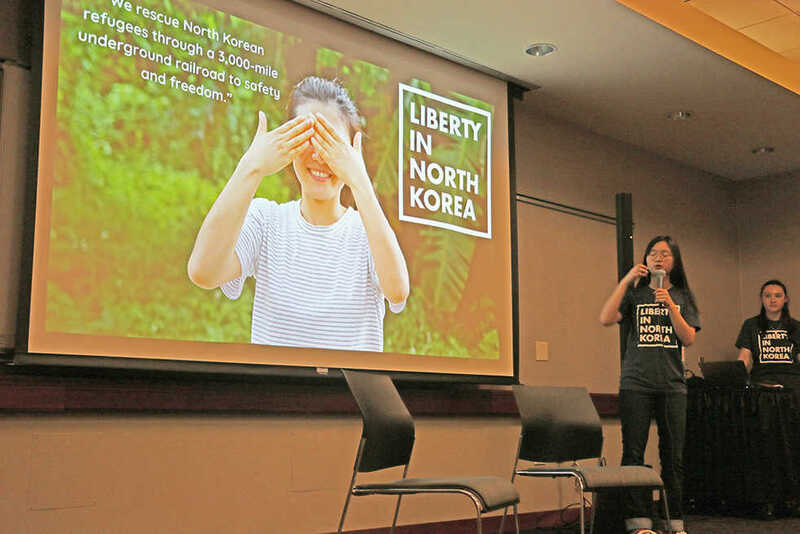 Through initiatives, such as concerts, speaker events, movie screenings and bake sales, LiNK at Georgia Tech caters to the demographic in order to raise money for North Korean refugees. The $3000 needed to rescue and resettle one refugee covers the full journey, which includes transit, food, clothes, shelter and resettlement. While controversy in North Korean politics is a well known reality, there is a disconnect between the circumstances of North Korean refugees and the Tech community. Student involvement is key to the success of the organization, as LiNK is centered around providing funding for refugees and awareness of the humanitarian crisis these refugees face. “We do tabling in the beginning of the semester and do fundraising events and awareness events throughout the semester,” said Park.